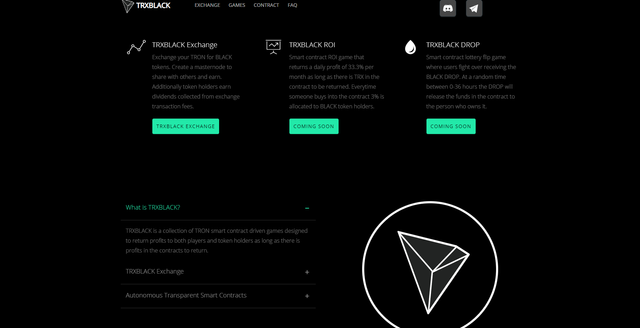 TRXBLACK is a collection of TRON smart contract driven games designed to return profits to both players and token holders as long as there is profits in the contracts to return. Smart contract ROI game that returns a daily profit of 2% per day as long as there is TRX in the contract to be returned. 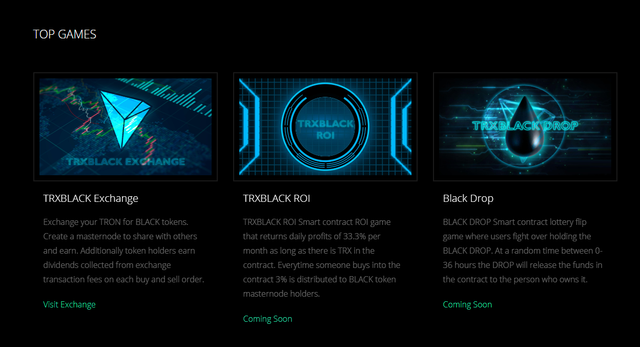 Everytime someone buys into the contract 5% is allocated to the BLACK TOKEN BUY WALLET which is used to trigger random buy orders in the TRXBlack Exchange. The BLACK tokens purchased by the buy wallet will be HODL'd forever and never sold and dividends distributed to BLACK token holders. This is a great dapp and a very good opportunity to earn black tokens. 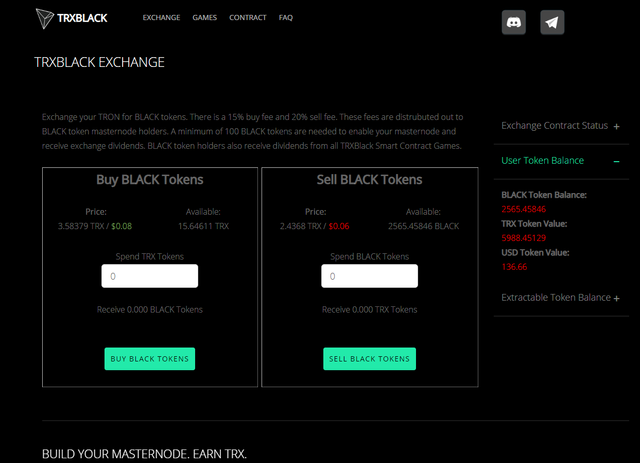 I already bought black tokens worth of 1000 TRX. This project is got a lot of potentials.